(NewsUSA) - If you are eligible for Medicare, prescription drug benefits should be an important consideration when it comes to choosing among various Medicare coverage options. 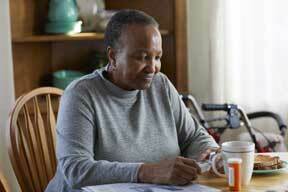 It's important to know that Original Medicare provides very little prescription drug coverage. Therefore, if you have Medicare and want drug coverage - known as Medicare Part D - you will need to purchase it from a private company, such as Humana. You can either buy a stand-alone prescription drug plan (PDP) or obtain Part D prescription coverage through a Medicare Advantage plan that includes prescription benefits. Even if you're not currently taking prescription medications, it is still a good idea to look into getting prescription drug coverage as soon as possible. One reason is that you may need to start taking a prescription medication sooner than you expect, but you can't just sign up for coverage at any time. You can sign up for coverage only when you first become Medicare-eligible (typically at age 65) or during the Medicare Advantage and Prescription Drug Plan Annual Election Period, which runs each year from Oct. 15 through Dec. 7, for coverage that starts on Jan. 1 of the following year. A second reason to enroll in Part D coverage as soon as you are eligible is to avoid an enrollment penalty. If you wait to sign up, the Centers for Medicare & Medicaid Services (CMS) can charge you a penalty every month, in addition to the plan's monthly premiums. Penalties can range from a few dollars up to more than $20 each month on top of your premium. This can be a significant cost if you're living on a fixed income. Once a penalty is assessed, it never goes away. "Fortunately, there are plenty of resources available to help you choose the drug coverage that is right for you, such as talking with a licensed insurance professional or visiting Medicare.gov to compare all of the plans offered in your county,"says Jeff Fernandez, Senior Vice President for Humana's Medicare West Region & MarketPoint Administration. Even if you are already in a plan, the Medicare Advantage and Prescription Drug Plan Annual Election Period (Oct. 15-Dec. 7) is the time to take a good look at all your plan options and find the coverage that is right for you. Humana is a Medicare Advantage HMO, PPO and PFFS organization and a stand-alone prescription drug plan with a Medicare contract. Enrollment in any Humana plan depends on plan renewal.